Mix the flour, yeast and salt in a large bowl. Slowly add the water, mixing gently with a spoon. When the dough starts to form, tip out from the bowl onto a lightly floured surface and knead together for 5-10 minutes until the dough is smooth and elastic. Lightly grease a large bowl and place the dough inside. Cover with cling film, leaving to stand for 30 minutes. Tip out onto a lightly floured surface and split the dough in half. 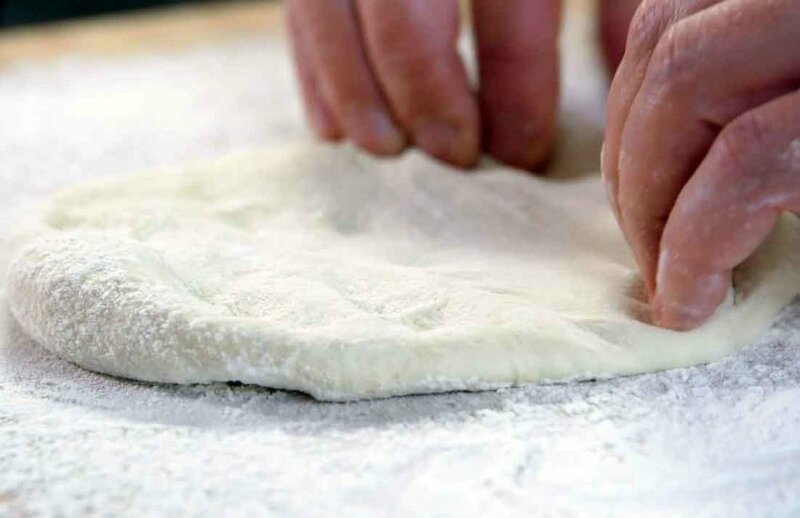 Using a rolling pin, roll out the dough into a circular shape about half a cm thick. Slightly roll the edge of the dough in on itself to create a lip around the edge for the crust. Oil a baking sheet and place your base on, before adding your toppings. Bake in a pre-heated oven at 220°c / Fan 200°c / Gas Mark 7 for 10 minutes or until golden and crispy. Quick, simple and delicious, this pizza base recipe can be personalised with your favourite toppings!